Kaupapa Māori resources for Māori individuals, whānau and communities. Nita Brown is the National Māori Health Advisor at the Stroke Foundation of New Zealand. 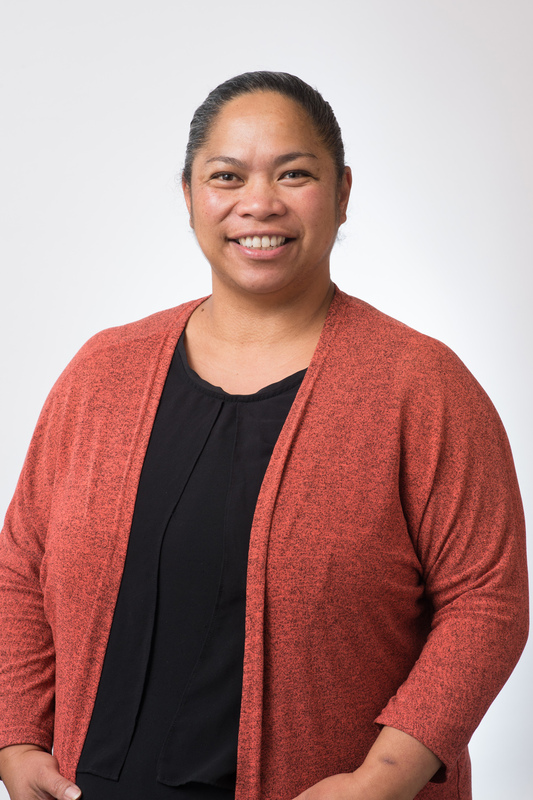 She has a leadership role in ensuring that the organisation's activities will be responsive to meet the needs of Māori individuals, whānau, hapū, iwi and Māori communities. Nita continues to push forward the Ūpoko Tapu strategy. The strategy involves engaging with relevant Māori health providers to establish a working relationship that promotes stroke awareness and helps to reduce the incidence and impact of stroke among whānau (family), hapū (sub-tribe), iwi (tribe), and Māori communities. It is a slow and intricate task, but with presentations provided at Māori health forums, interviews and promotional messages on Māori media the project is building a sound base which to progress. Increased participation in the annual blood pressure campaign is one vehicle that has been utilised to build and strengthen engagement with Māori health providers. The Stroke Foundation of New Zealand would like to introduce a new selection of kaupapa Māori resources to the catalogue. The resources include indigenous Māori concepts, visual imagery and language that is familiar and can resonate with many whānau, hapū, iwi and Māori communities. Resources are for the general public, health provider services, and hospitals. These will be available from early-mid February 2015. Click on the images to download pdf files of the resources. This is a resource that can be displayed anywhere and encourages people to learn the signs of a stroke and the action to call 111. The design of this resource is the same as the English version so that it remains consistent and becomes recognisable in communities and environments familiar to Māori. This resource includes use of the Māori language. ‘Kia Hiwa Ra!’ is also supported by a whakatauki (a Māori proverbial saying) – ‘He aha te mea nui o tēnei ao? He tangata, he tangata, he tangata e! This whakatauki translates to, ‘what is the most important thing in this world? It is people, it is people, it is people! The concepts of ‘He mate ikura roro’ & ‘he mate rehu ohotata’ mean ‘a stroke’. He aha te mate ikura roro? What is a stroke and how can I reduce the risk of stroke? The key messages were taken from the existing resources and integrated into one resource. The context and content of this resource was developed to resonate with a Māori audience. It can encourage engagement and help improve the health literacy of an individual, their whānau, hapū, iwi and Māori communities, regarding stroke and stroke prevention. This resource includes the use of the Māori language. The headings in the brochure are in te reo Māori (Māori language), supported with an English translated title. The content is in English, but the use of high frequency Māori words and concepts is integrated to resonate with the target audience. 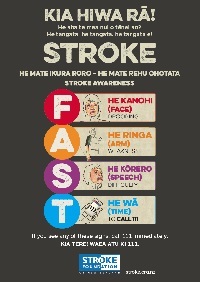 This resource was adapted from two existing resources – ‘Blood Pressure’ and ‘He toto rere pai’ (an old publication) and ‘See a stroke - FAST’.